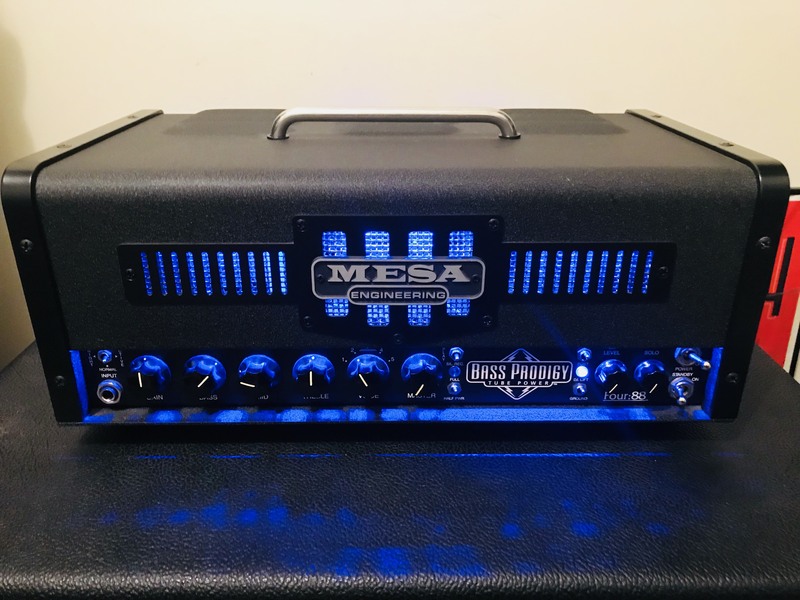 Looking to sell my Mesa Bass Prodigy 4:88 all tube head for $2,300. RRP is approx $3,800 in Australia. 250 watts at 8 or 4 ohm, powered by 4 KT88 power tubes and all tube preamp. Weighs 13kg and only 19" width. Great condition with only a small dent in the bottom of the chassis. I am pretty sure it was there when I bought it. Has not been dropped and no other damage is present. Recently serviced by Better Music in Canberra and received a clean bill of health (distributor for Mesa and authorised service centre). Looking for local sale only. Last edited by kodou on 28 Nov 2018, 18:55, edited 14 times in total. Any interest in trading my Fender 60s P bass? How does that amp hold up power wise to the Orange? I have an Ampeg SVT VR but have been thinking of getting a lighter weight amp. Was thinking of getting an Ampeg V4B but worried the 100 watts might not be enough. Have you played this in a loud band setting something like post rock metal? Thanks. Last edited by kodou on 16 Sep 2018, 18:42, edited 1 time in total. you want an SVT VR? That being said, the VR is a kick arse amp so I'll think about it. ha yeah no worries. let me know.